Renewable Products Marketing Group (RPMG) was founded in Minnesota by two ethanol plants that wanted to gain economies of scale in marketing their production. Established in 1996, they increased to five plants by the year 2000 and have experienced steady growth ever since. Today, they are working with a staff of more than 40 employees and marketing ethanol and co-products for 20 plants across the United States. RPMG provides marketing and supply services to members and marketing partners. Ethanol marketing, co-products marketing and a group buying program make up its core services. It also offers state of the art logistics management, inventory management, RINS management and support services. RPMG offers plants renewable and sustainable energy solutions, as well as a diversified platform, transparency and strength in volume. A couple of years ago, Renewable Products Marketing Group (RPMG) began to evaluate its IT solutions. The server was on premise and it was coming to the end of its life. RPMG was contemplating moving to new on-site hardware or make the change to a new cloud computing environment. The company was growing quickly and so was the need for IT solutions and additional staff to support it. Any problems in IT were falling onto Kuehn. Many of those problems were only being fixed on the surface, instead of fixing the root cause to prevent them from happening again. In addition, there was a growing concern about the on premise hardware. “I always had a worry in the back of my head about something happening to the equipment such as a natural disaster or a serious hardware failure. Although the data was backed up, the time required to get up and running again after a failure event could be significant. In a business like ours, time is truly money and if the systems aren’t operational, customers don’t get billed and suppliers don’t get paid,” Kuehn said. When trying to find solutions for IT issues previously, the problems that were being fixed were only the surface of a greater issue. “It gave me a realization of how many tasks I was trying to juggle in one day. I was able to solve the immediate problem, but didn’t find the underlying cause. Marco was able to find the root of those problems, bring them to full resolution and prevent them from happening again,” Kuehn said. 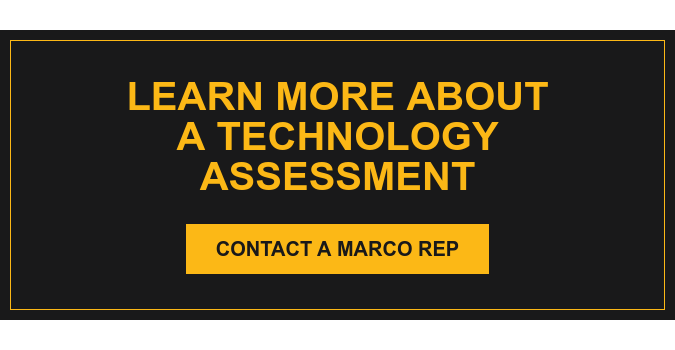 “Marco wanted our move to the cloud to be successful for us. They dedicated both the people and hardware resources to make sure our user experience was above our expectations,” added Kuehn.